Since 1984, ACKSYS Communications & Systems has specialized in the design and supply of data communication equipment, including wireless network solutions (wireless Modbus TCP solutions), serial Modbus-to-ModbusTCP data gateways, serial device servers (Ethernet, USB & WiFi), and media converters. The keystone of the company is its four fundamental values: longevity, performance, reliability, and quality, to satisfy the most severe requirements in the factory and building automation, oil and gas, mine and gems, hoisting and handling, water treatment, renewable energy, rail, on-road and marine transportation fields. Acromag provides measurement and control solutions. Embedded computing products include Industrial PCs, VME, PCI, CompactPCI, Industry Pack, and PMC I/O modules. Process instrumentation and fieldbus network products include signal conditioners, transmitters, isolators, alarms, Ethernet, Profibus, Modbus, and HART I/O modules. Advanced Micro Controls Inc (AMCI) is a U.S. company focused on PLC-based automation. Since 1985 AMCI has designed and manufactured rotary and linear position sensing products and motion controllers. AMCI's expertise includes specialty I/O, position sensing, and motion controls that communicate via Modbus, Ethernet/IP, Profibus, and other leading industrial networks. AMCI is located in Terryville, Connecticut USA and sells products worldwide through a global network of authorized distributors. Applied Motion Products, founded in 1978, specializes in high-precision, cost-effective motion control products, offering a full complement of stepper and servo, drives, motors, controllers, gearheads, and power supplies to serve a diverse industrial and OEM customer base. Automated Solutions develops and sells .NET Components, OPC servers, ActiveX Controls, and libraries for many industrial protocols. Automated Solutions drivers are used globally by thousands of companies for developing reliable high-performance HMI and SCADA applications for the Windows platform. Fully functioning 30 day trial software can be freely downloaded from the company's website. Belimo develops, manufactures and distributes electric actuators for air dampers and valve technology for heating, ventilation and air conditioning systems since 1975. The technology company headquartered in Hinwil (Switzerland) employs more than 1100 people worldwide. Belimo products functionality and precision allow HVAC systems to achieve optimum performance and so reduce power consumption. Bus-capable actuators are equipped with intelligent actuator controls with open interfaces. This permits easy and inexpensive integration of air control and fire dampers, VAV units, control valves and intelligent HVAC performance devices. In applications ranging from traditional SCADA monitoring to distributed event recording and advanced, high-speed control, Bitronics® Electric Power Measurement and Recording Products are known for quality and dependability in the electric utility substation for decades. Established in 1984, Brainboxes develops a wide range of serial and remote I/O devices. The company manufactures and supports its own core technologies, including Ethernet, USB, Bluetooth, ExpressCard, PCI Express and PCI products. Highly qualified software and hardware engineers deliver custom-made industrial automation and test & measurement solutions. Byres Security Inc. provides practical and effective industrial network security and SCADA security products that are simple to implement and that do not require plant shutdowns. Its flagship product, the Tofino Industrial Security Solution, is a unique hardware and software security system that facilitates the implementation of Plug-n-Protect(TM) zones of security for equipment with common safety requirements Zone Level Security(TM)). Tofino is used by the process control, SCADA, manufacturing and automation industries. Comtrol Corporation, with 30 years of experience in device connectivity and network interfaces, is focused on innovation in the industrial and automation markets. Its DeviceMaster UP product line supports Modbus TCP, Modbus RTU/ASCII, EtherNet/IP, and PROFINET IO. It is available in one, two, and four port models. Comtrol supports three separate Modbus applications that can be loaded onto any DeviceMaster UP and provide a wide range of Modbus connectivity. Innovative, flexible, and easily configured, the DeviceMaster UP can provide connectivity from virtually any type of Modbus controller to any type of Modbus or raw/ASCII device. The DeviceMaster RTS product line supports intelligent Modbus RTU over Ethernet TCP/IP to serial port connectivity. It is available in one, two, four, eight, 16 and 32 port models. CONTINENTAL CONTROL SYSTEMS specializes in the design and manufacture of the WattNode® AC (kW) power and (kWh) energy meters. Available products include Modbus, standard PULSE-OUTPUT and LONWORKS® Watt/hour WATTNODE® transducers that offer interoperable power, energy and energy demand metering. Applications include: PV System Energy Measurement, Net Metering, Utility and Facility Sub-metering-Equipment Operation and Performance Monitoring-Measurement/Verification of Power and Energy Production and Consumption, Building Automation. Control Solutions, Inc., a Minnesota corporation founded in 1995, offers a line of network gateways and control products tailored to facility management, building automation, telecommunications, and remote monitoring & control. Control Techniques, a division of Emerson, designs, manufactures and supports AC, DC, variable speed and Servo drive systems. Danfoss is one of the largest industrial companies in Denmark. The global group is a leader within research, development and production, sales and service of mechanical and electronic components for several industries. Danfoss? activities are divided into three main business areas: Refrigeration & Air Conditioning, Heating & Water and Motion Controls, each leading within its industry. Dataforth Corporation was founded in 1984 by engineering management personnel from Burr-Brown Corporation (now Texas Instruments). The company has become a worldwide leader in Instrument Class Industrial Electronics - rugged, high performance isolated signal conditioning, data acquisition and data communication products that play a vital role in maintaining the integrity of industrial automation, test and measurement and quality assurance systems. Dataforth products directly connect to most industrial sensors and protect valuable measurement and control signals and equipment from the dangerous and degrading effects of noise, transient power surges, internal ground loops, and other hazards present in industrial environments. A pioneer in the production of switchgear, E. Dold & Söhne KG is a leading European manufacturer and is certified to ISO 9001. Domat Control System manufactures software and hardware for building controls and energy monitoring and control systems: I/O modules, communicative room controllers, room units, programmable process stations (PLC/PAC), interfaces and converters, HMI panels, SCADA and management software. Since 2008, Domat has also provided open systems for monitoring and control of photovoltaic plants, with drivers for numerous PV inverters. The main features of the system are flat topology, openness for integration, and easy engineering. Doosan Heavy Industries & Construction owns core technologies in the power generation business - boilers, turbines and generators, wind power - as well as providing seawater desalination solutions, extra-large casting and forging products for power plants, marine vessels, iron and steel forging, mold and tool steel, and other industrial facilities all around the world. DRAGO Automation GmbH has been manufacturing and supplying high quality signal converters since 2002. The company supplies durable and reliable components for automation technology, both for the standard sector and solutions to meet individual requirements. Emerson Climate Technologies–Retail Solutions is a leading provider of facility management systems and services for supermarket, convenience store, box retail, and restaurant operators. Retail Solutions provides energy controls, facility commissioning services, as well as engineering design services to retail customers around the world. TDK Corporation is one of the world's leading manufacturers of electronic components and systems. TDK's portfolio includes passive components, such as ceramic, aluminum electrolytic and film capacitors, ferrites and inductors, high-frequency products, and piezo and protection components, as well as sensors and sensor systems. These products are marketed under the product brands TDK, EPCOS, InvenSense, Micronas, and Tronics. TDK focuses on demanding markets in the areas of information and communication technology and automotive, industrial and consumer electronics. The company has a network of design and manufacturing locations and sales offices in Asia, Europe, and in North and South America. eWON is an innovative Belgian manufacturer of hardware products and Internet services that offer secure industrial connectivity across the Internet. Over the last 10 years, eWON has become a market leader for intelligent Internet remote access devices and a partner of choice for PLC, automation systems manufacturers worldwide and any Modbus devices. With its leading-edge technology expertise, combined with a sound knowledge of industrial needs in terms of remote access, eWON distinguishes itself by its innovation, passion, integrity, quality and long-term vision. Exemys products for industrial automation can play a significant role in cost reduction, allowing companies to maintain investments made in devices and systems, which are efficient, but do not use Ethernet technology. 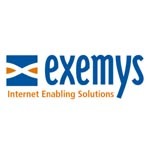 Exemys bridges the gap between different technologies through a full line of Ethernet converters - RS232 / 422 / 485 - which enable access from Ethernet TCP/IP to equipment with serial ports. Exemys' devices, equipment such as alarm panels, intelligent sensors, Process Controls, PLCs, AC/DC drives, power monitoring equipment, operator displays, weighing systems, barcode scanners and other factory floor serial devices can be connected to the Internet. The ezeio system is a complete solution for monitoring, alarming and controlling remote devices and systems. The low-cost, secure and feature-rich ezeio Controller connects to sensors, actuators and Modbus devices, while it communicates with the ezecontrol.com cloud service via the Internet. Real-time and historic data is easily and securely accessed from any web browser, while all data and settings are automatically backed up in multiple data centers. The ezeio system is designed for fast mass deployment, and is used for energy monitoring/management, HVAC systems, temperature and CO2 monitoring/alarming, lighting control, water metering and many other applications all over the world. The ezeio system is designed and produced by eze System, Inc. in California, USA. Fieldbus International, Fint, offers a wide range of built-in modules that allow instruments currently using Modbus, to be upgraded to PROFIbus, HART or Foundation Fieldbus . The said products are also available as DIN rail mounted gateways , the perfect solution for System integrators and Equipment vendors wishing to extend the market for existing products based on Modbus. Fint has also solutions for HART compatible instruments that need to communicate on Modbus. Finesse was founded to bring digital, plug-and-play solutions to life science customers, to improve the management of complex bio-process applications. The company provides sensor, hardware, and software solutions to life science applications in the biotechnology and pharmaceutical industries. To date, its products include next-generation single-use optical sensors, digitally-enabled hardware for plug-and-play process control, and easy-to-use software whose analytics scale from research into production. Flowserve Corp. is one of the world's leading providers of fluid motion and control products and services. Operating in 56 countries, the company produces engineered and industrial pumps, seals and valves, as well as a range of related flow management services. FuehlerSysteme eNET International GmbH manufactures and distributes pt100 temperature sensors, thermocouples, humidity sensors, pressure sensors, air quality sensors, sensors for motion and brightness, flow sensors and meteorological instruments. The company's broad spectrum of products offers appropriate solutions for any measurement. Customizations are also available, enabling a high level of flexibility. Since 2003, Ges Teknik Started has worked in the Building Automation Systems industry, and expanded its offerings, providing OEM solutions and technical support for heating, cooling, ventilation, installation, fluid control, automatic control and building automation systems. Grundfos is the world's largest pump manufacturer, based in Bjerringbro, Denmark with more than 18,000 employees globally. Grundfos was established in 1945 by the late Poul Due Jensen. The annual production of more than 12 million pump units, circulator pumps, submersible pumps, and centrifugal pumps is approximately 50% of the world market for these pumps. Grundfos also produces electrical motors for the pumps as well as a considerable number of electric motors for separate merchandising. Furthermore, Grundfos develops and sells state-of-the-art electronics for controls and remote monitoring of pumps and pumping systems. HACH COMPANY provides the widest digital communication capability in the world of continuous sensors and controllers for water and waste water analysis. These sensors help with secure and efficient operation of treatment plants and various industrial applications. They can be integrated easily into common PLC, OPC and SCADA systems using Modbus RTU and Modbus TCP, even wireless using a built-in GPRS module as the transport layer for global communication. Hilscher develops and manufactures solutions for fieldbus and industrial Ethernet, including PC cards, gateways, ASIC for major systems such as Modbus, PROFIBUS, PROFINET, DeviceNet, CC-Link, InterBus, CANopen, ControlNet, AS-Interface, SERCOS, Industrial Ethernet, and EtherNet/IP. As a specialist in automation and networking systems, Hirschmann Automation and Control offers a complete, integrated structure for data communication throughout the company. The product range extends from network components for Ethernet, Fast Ethernet and Gigabit Ethernet through fiber interfaces for different field bus systems up to electrical actuator and sensor connectors. Founded in 1988, HMS Industrial Networks is the leading independent supplier of products for industrial communication. HMS develops and manufactures solutions for connecting automation devices and systems to industrial networks. HMS markets products in the following categories: Anybus ® Embedded solutions - plugged into the customer's device offering connectivity to any industrial network; Anybus ® Gateways solutions - Stand-alone communication modules offering connectivity between a device and a network or network-to-network; Netbiter ® Remote Management solutions, which enable users to monitor and control their devices remotely. Development and manufacturing take place at the headquarters in Halmstad, Sweden. Local sales and support are handled by branch offices in China, Denmark, France, Germany, Italy, India, Japan, UK and USA, plus distributors in more than 50 countries. HMS employs over 240 people and reported sales of 42,5 million EUR 2011. HMS is listed on the NASDAQ OMX Nordic Exchange in Stockholm in the category small Cap, Information Technology. IAS Irrigation Systems designs and manufactures products for remote irrigation control, remote engine/motor control software (HarvestWatch) and multiple hardware solutions that are fed by state-of-the art wireless, air/plant temperature and soil moisture transmitters. Industrial Data Xchange (IDX) is a proudly South African Industrial IT solutions company focusing on the provision of products and services to all industrial sectors including mining, power, oil, paper and food & beverages. IDX offers training in PROFIBUS, PROFINET, AS-Interface (AS-I), OPC, MODBUS and KNX. IDX has a broad range of IT skills related to industrial communications, legacy and disparate system integration, MIS, MES, reporting, and the development of real-time systems and custom applications. iRidium mobile is a Russian-based IT company that has developed iRidium mobile, a software package used to create unique, functional graphic interfaces for controlling Modbus and other Automation Systems, Audio/Video equipment or Media Server from any device or gadget operating on the iOS, OS X, Windows 7/8, or Android platform. Available for download from The App Store and Google Play, iRidium is easily implemented and customized by users with varying degrees of technical knowledge. iRidium enables connection of control panels to the controller in the Master-Slave mode where the control panel is always a Master Client. iRidium allows you to send and receive data about the state of variables on real time basis using Modbus TCP, RTU or ASCII protocols. ITEI (Instrumentation Technology & Economy Institute of the People's Republic of China) is a research institute in China's knowledge economy. As the professional intermediate institute between the users, researchers, vendors, and manufactures, it is responsible for Chinese national and industrial standards in the area of instrumentation and automation. It is also responsible for doing policy research to advise the national government. Kepware is a software development business of PTC Inc. located in Portland, Maine. Established in 1995, Kepware has spent the last 20+ years building a portfolio of industrial connectivity solutions to help businesses connect diverse automation devices and software applications. The company has been recognized as an early player in the Industrial Internet of Things (IoT), and serves a wide range of customers in a variety of vertical markets, including manufacturing, oil & gas, building automation, power & utilities, and more. The Kübler Group belongs today to the leading specialists worldwide in the fields of position and motion sensors, counting and process technology as well as transmission technology. Lenze is a global manufacturer of electrical and mechanical drives, motion controllers, and automation technology. As a Motion Centric Automation specialist, the company offers customers products, drive solutions, complete automation systems, engineering services and tools from a single source. Lenze is a leading provider of automation solutions to industries including consumer goods packaging, material handling and logistics, automotive, robotics, and commercial pumps/fans. With a global network of engineers, sales representatives, and manufacturing facilities, Lenze is well-positioned to meet the motion control needs of customers worldwide. LINAK is an international company and world leader in designing and manufacturing electric linear actuator systems. E-mail LINAK directly. MAC Valves, Inc. is a global manufacturing leader in pneumatic and fluid valves, proportional valves, flow control and regulator technology. MAC was founded in 1948 and has since amassed over 80 patents related to pneumatic valves and their auxiliary components. Modbus OPC server , supports Modbus Serial, Modbus Serial Slave, TCP Modbus, and Modbus+ protocols. The OPC server is versatile in coping with non-standard Modbus devices including Daniel Modbus, Modbus devices with "holes" in the address space, and Modbus devices with nonstandard transmission length limitations. Metrohm-Applikon is subsidiary company of Metrohm AG, responsible for the Process-Analyzer business. This concerns mainly wet chemical analysis methods for ion-analysis, such as Titration, Spectrophotometry, Ion-Chromatography, Voltammetry, Ion-selective sensors, Conductivity, Coulometry. Applikon Process-Analyzers find their way to various markets on all continents in the world. They are provided with all the features necessary for on-line and at-line applications: Ruggedly built, modular for maximal flexibility, IP65, ATEX, corrosion proof, Touchscreen GUI, remote and serial data communication. Marketed and supported through the worldwide Metrohm Distribution network. Based in Pattison, Texas, Microflex designs, manufactures, and markets HART® Protocol Modems, RS-485 Converters, Field Tools Test Equipment, Gas Sampling Equipment, and Gas Meter Volume Pulsers. MKS Instruments, Inc. provides process control solutions for advanced manufacturing processes such as semiconductor device manufacturing; thin-film manufacturing for flat panel displays, optical storage media, architectural glass and electro-optical products; and technology for medical imaging equipment. Molex is a leading one-source supplier of interconnect products. The company's portfolio is among the world's most extensive, with over 100,000 products, including everything from electronic, electrical and fiber optic interconnects to switches and application tooling. Molex Industrial Communications focuses on locally and globally integrated automation products, as well as market development. The company has actively contributed to the development of over 30 SST Communication products, such as network interface cards, PLC/PAC communication modules, and diagnostics. Founded in 1987, Moxa provides Integration Engineering for Industrial Automation. The company's expertise in providing high quality communications products comes from its experience gained in developing intelligent multiport serial boards. Moxa now offers a full range of high quality products that can be used in many different applications. Moxa's NPort Server Family, a revolutionary line of standalone multiport serial device servers, will be there to make it a reality. NPort Server products are designed to act as a bridge for Serial-to-Ethernet connectivity, and can be used to network numerous serial devices that do not have a built-in Ethernet port. MYNAH Technologies, LLC is a leading provider of Simulation Software for automation system acceptance testing, operator training and Industrial Ethernet Solutions. MYNAH's MiMiC Simulation Software is used in more than 1,100 sites in 68 countries worldwide ranging from hydrocarbon production and refining to chemical, pharmaceutical and biotech industries. MYNAH has been recognized by CONTROL, Control Engineering and Chemical Processing Magazines for their simulation solutions and exceptional service. NI provides powerful, flexible technology solutions that accelerate productivity and drive rapid innovation. From daily tasks to grand challenges, NI helps engineers and scientists overcome complexity to exceed even their own expectations. Customers in nearly every industry - from healthcare and automotive to consumer electronics and particle physics - use NI's integrated hardware and software platform to improve our world. For Modbus communication, NI provides configuration-based and low-level API software options that offer a wide array of functionality to meet your application needs. NETxAutomation Software GmbH develops and distributes innovative software for medium and large building automation projects. The company's product range includes server and clients (PC and web-based visualizations, energy reporting, shutter control). All products are based upon open standards, such as Modbus, OPC, KNX, BACnet or SNMP and application-specific systems, such as MICROS Fidelio/Opera, Protel, VingCard. System integrators in over 40 countries use NETxAutomation's software in their building automation projects. Opto 22 manufactures controllers, I/O, solid-state relays, and software products that link electrical, mechanical, and electronic devices to networks and computers. The company's customers use its products to monitor, control, and get data from all the machines and devices that are essential to their business. The company's latest product, groov, makes it easy to build mobile operator interfaces to virtually any system, with no programming. Opto 22 was founded in 1974 by engineers who designed a better solid-state relay and chose to build it in a non-corporate, flat organization. Over 40 years later, Opto 22 is still privately held, lean, and run by engineers. Opto 22 products are built on open standards, with an emphasis on quality. All are manufactured and supported from the company's headquarters and factory in Temecula, California. The company's goal is to simplify automation?to simplify your day-to-day job so you can pursue new ideas and build for the future. Peak Demand Automation manufactures several Modbus products serving the energy and water conservation markets. Its Building Automation system is the most effective system on the market for portable classrooms. Wireless installation makes it much less expensive for schools to use portables effectively as "swing" space. The system is proprietary and a patent is pending. An app. is available on the Google Play Store for controlling systems from a smart-phone and to respond to grid events. The company also produces general purpose high-power Modbus radios, SCADA systems, and can convert any wired product to wireless Modbus. Phoenix Contact creates innovative solutions in electrical connection, electronic interface and industrial automation technologies. Phoenix Contact USA, located in Harrisburg, Pa., is a subsidiary of Phoenix Contact GmbH & Co. KG of Blomberg, Germany, which operates 40 subsidiaries around the world. Phoenix Contact offers a variety of Modbus-compatible products, including Ethernet switches, wireless links, Bluetooth modems, Modbus taps and more. PiiGAB develops, markets, and sells software and hardware for data communication, data acquisition and tracking, to be used in an industry setting and in building automation. PiiGAB improves the user's level of expertise, in local as well as in peripheral equipment. PiiGAB is an active partner in the alteration process that is now taking place within the information and technology tracking systems in industry and building automation. PiiGAB strives to live up to its slogan "Innovative energy optimization." Pixsys is a registered trademark and an Italian manufacturing company with over 20 years experience in designing and manufacturing instrumentation for process control and industrial automation. Products range has been constantly expanding and currently includes indicators, PID controllers, signal converters, PLCs, HMIs and Panel PC. Product concept relies on highly flexible hardware/software structures, which include some of the most versatile models available in their relevant market segment, beside innovative and user-friendly programming tools. Connectivity standards include Modbus RTU and TCP/IP, CANOpen, Ethernet. POSITAL-FRABA is a division of the Netherlands based FRABA Group. POSITAL provides advanced products for position sensing and motion control in many sectors and applications. These include rotary encoders and inclinometers with Modbus RTU and Modbus/TCP interface. proconX gateway technology implements customized Protocol Converters, Industrial Communication Appliances and Fieldbus Gateways. www.proconx.com relates to hardware products which are Modbus gateways; www.modbusdriver.com relates to the FieldTalk Modbus driver suite, which is software. Proportion-Air,Inc. is a manufacturer of electronic pressure and flow sensing devices as well as electronic pressure and flow control devices. Proportion-Air,Inc. provides pressure solutions from full vacuum through 1000 psi and flow solutions from 20 scfh through 250 scfm. The electronic pressure sensors and electronic pressure regulators along with the electronic flow monitors and electronic flow control valves can be ordered from standard product lines or custom pneumatic control solutions can be provided. These pneumatic automation products have been designed to interface in many different industrial control applications and options such as intrinsically safe control valves and pressure regulators suitable for oxygen applications, to name a few, are available. Proportion-Air, Inc is located in McCordsville, Indiana and services domestic and international needs through local distribution. ProSoft Technology, Inc. is a US company specializing in the development of in-chassis, protocol interface products for automation platforms, in-rack flow computers, stand-alone gateways and wireless communication networks. Development of the first product started in 1988 under contract to Allen-Bradley. This initial product was a firmware solution providing Modbus Slave communications for the PLC platform. Since then, our connectivity solutions support more than 60 different protocols in more than 400 communication modules classified into four primary product families: Protocol and network connectivity modules known as inRAx for Rockwell Automation and ProTalk for Schneider Electric, stand-alone protocol gateways known as ProLinx, and industrial serial and Ethernet wireless modules known as RadioLinx. Our evolution has positioned ProSoft Technology as a world leader in communication solutions. As part of our on-going effort to solve our customer's communication needs we are continually developing new products for industrial applications. The ProSoft team can quickly develop solutions based on market needs and customer requests. Our commitment is to produce quality products based on our network expertise and provide industry-leading technical support dedicated to resolving your industrial communications challenges. ProSoft Technology, Inc. is headquartered in California, USA with local offices in Europe, Latin America, and Asia Pacific. Real Time Automation delivers easy to use, simple to maintain networking solutions. Whether you need an off the shelf gateway to move data between different networks, a daughter card to network enable a serial device, or source code to add to your embedded processors - Real Time Automation is here to help. Our simple solutions and industry leading support are guaranteed to save you time, money and headaches. You get support from an engineer who developed the product and a product made in the USA that is always stocked. With RTA you can take a solution from discovered to implemented in a day. RTA's team of leading automation engineers has a proven track record of delivering on time, on budget, and to conformance standards, with its vast working knowledge of Modbus TCP, Modbus RTU, DeviceNet, EtherNet/IP, LonWorks, PROFINET IO, Profibus, AS Interface, CANopen, and BACnet. Rosemount offers a complete line of pressure, temperature, flow, level, and safety measurement instrumentation. For more than 100 years, the SAUTER Group has provided products expertise and solutions for building management and room automation throughout the entire building life cycle. The SAUTER Group, with headquarters in Basel (Switzerland) and development and production site in Freiburg i.Br. (Germany), is active worldwide. SAUTER's products are distinguished by Swiss quality and cover the four areas: Systems, Components, Services and Facility Management. Together, they stand for the all-round expertise of the company: SAUTER creates sustainable environments. Schneider Electric is the world's power and control specialist. Through its world-class brands, Merlin Gerin, Square D and Telemecanique, Schneider Electric manufactures and markets a comprehensive range of products and services for the residential, buildings, industry, and energy and infrastructure markets. Schneider Electric has 85,000 employees worldwide, operations in 130 countries through 13,000 sales outlets. Sealevel's SeaI/O data acquisition modules provide powerful digital, analog, and serial expansion to any computer or Modbus network. Connect to the host via wireless (802.11b/g), Ethernet, USB, RS-485, or RS-232 to add the functionality required for your particular application. Choose from a variety of I/O configurations, each designed for maximum flexibility and easy field wiring. For quick software implementation, application programs or third-party software can use Sealevel's SeaMAX libraries or industry-standard Modbus protocol. For over twenty years, SELETEC has been designing and manufacturing electronic devices for medical gas systems and been providing systems integration in the field of monitoring and control systems for industrial plants, especially whenever medical, scientific or technical gases are to be used. SICK is one of the world's leading manufacturers of sensors and sensor solutions for industrial applications. Founded in 1946 by Dr.-Ing. h. c. Erwin Sick, the company has headquarters in Waldkirch im Breisgau near Freiburg. It ranks among the technological market leaders. With more than 50 subsidiaries and equity investments as well as numerous representative offices, SICK maintains a presence all around the globe. In the fiscal year 2014, SICK had around 7,000 employees worldwide and achieved Group sales of EUR 1,099.8 million. Sierra Monitor's gateways and protocol translators interface building automation systems, fire alarm panels, process controls and other devices and networks to Modbus network and systems. The FieldServer also has over 140 different drivers interfacing to over 1000's of different devices. When an integrator needs to interface LonWorks, BACnet, Metasys N2, DH+, EtherNet/IP, PROFIBUS or a wide range of other protocols to a Modbus system, FieldServer is a solution. In addition to stand-alone gateways, embedded Protocol Coprocessor, for device design engineers is available to use to provide proven Modbus RTU or Modbus TCP/IP from their devices. Check out the company's website for further information on its various gateways and driver protocols. Embedded Solutions provides commercial Modbus master and slave stacks for TCP and RTU/ASCII. These stacks support multiple instances and a lot of different hardware platforms (AVR, ARM, Linux, Win32). Both stacks work with or without an operating system and share the same platform abstraction layer. The company's VAT-ID: ATU68399716 and Incorporation no: FN 408741s. In industrial automation, Softing is a specialist for fieldbus technology and has established itself as a world-leading partner for networking automation systems and control solutions. Softing provides customers the key technology to connect devices, controls, and systems with the leading communication technologies. In fieldbus technology, Softing is a world-class expert for FOUNDATION fieldbus, PROFIBUS, and CAN/CANopen/DeviceNet. The company's wide range of expertise includes solutions for OPC, FDT, and Real-Time-Ethernet protocols such as, PROFINET IO, EtherNet/IP, and Modbus TCP. Many of the products and services developed by Softing since the company was founded in 1979 have become reference standards throughout the world. In addition, Softing has established itself as a provider of sophisticated diagnostic tools for fieldbus systems. Frontline Test Equipment, Inc. was acquired by Teledyne LeCroy on April 7, 2016 and is now Teledyne LeCroy Frontline, Inc dba Teledyne LeCroy. The Frontline family of products include protocol analyzers for special-purpose data communication networks. Frontline pioneered portable and versatile trouble-shooting software solutions for serial and Ethernet network topologies and communication protocols. The growing family of general-purpose and industry-specific protocol analyzers is based on a common protocol-decoding engine, with a common user interface, offering protocol decoding at the bit level, and enable the rapid development of custom decodes for proprietary protocols and extensions to existing protocol decoders. Thermal comfort and air quality are by far the key elements of today?s building automation: Temperature, humidity, CO2 and air quality sensors together with room operation panels to interface the users (all of us, who work and spent much of our life in offices) are Thermokon?s contribution to our well being in modern offices. Amongst ambient conditions that affect the effectivity of office work, product design and a sophisticated user interface are widely acknowledged to be important factors as well. "technik & design" therefore are twinned synonyms of Thermokon?s product philosophy. Besides classical technologies like LON, KNX or Modbus, Thermokon offers wireless and batteryless sensors and Modbus gateways using EnOcean's technology. TiTEC develops and produces high-quality measuring instruments for temperature, pressure, CO2, mixed gas, motion, light, flow and humidity for both the worldwide market and for the wide variety of applications. UEI designs and manufactures devices for the PC/Ethernet data acquisition and control, Data Logger/Recorder and Programmable Automation Controller (PAC) and Modbus TCP markets. Its Cube form factor provides a compact, rugged platform, ideal for applications in the automotive, aerospace, petroleum/refining, simulation, semiconductor manufacturing, medical, HVAC, power generation and more. The Verder family of companies unites more than 50 companies active in more than 25 countries worldwide. The company, founded in 1959 by André Verder, started as an entrepreneurial trading company in different industrial and laboratory products. Verder's range of quality, industrial pumps can assist any process or application and include air operated double diaphragm pumps (Verderair), peristaltic pumps (Verderflex), Screw Centrifugal (Verderhus)and rotary lobe pumps (SSP/Alfa Laval). Founded in 1994, Volktek Corporation designs and manufactures fiber networking products for Metro Ethernet and Industrial Ethernet applications. Volktek's Metro Ethernet focuses on Telco-grade switches, residential routers, gateways, and Small and Medium Business Ethernet Switches focusing on Broadband and FTTX solutions. Volktek's Industrial Ethernet areas of focus are in the industrial grade applications for factory automation and surveillance systems. Volktek prides itself on being sufficiently flexible to work with its clients and offer solutions to each client's differing needs. Volktek's products maintain a consistent user-interface across a range of products, and the benefit of a totally customizable software package for real-world applications. WAGO develops electronic components for decentralized automation technology in its automation business and electrical connectors in its electrical interconnections business.